From Big Creek to Bear, Stibnite to the Seven Devils, all back roads from McCall lead to Central Idaho's richest history and finest scenery. Explore the old mining areas of Warren and Cuprum, and take a dip in the soothing waters of Burgdorf Hot Springs, walk the trail of the Nez Perce Indians who fought back the US Calvary on White Bird Hill. 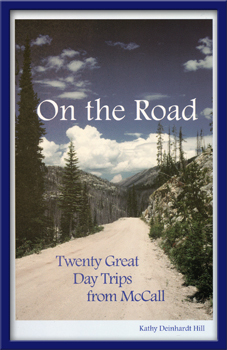 On The Road not only gives you the directions to twenty great day trips around McCall, it relates the history of each site as well. If you are new to the area, a visitor, or just passing through, On The Road will give you all the information you need to enjoy the area's natural beauty and vibrant history.